I love everything about fall. The cool, crisp weather, decorating for Halloween, <a href="http://www.inhabitots.com/7-tips-for-planning-a-family-ghost-hunting-adventure/">spooky stories</a>, and anything that includes <a href="http://www.inhabitots.com/how-to-make-homemade-organic-pumpkin-puree/">pumpkin</a>. Pumpkin is one of those members of the squash family that in my opinion doesn't get used often enough! Not only is pumpkin packed with vitamins, minerals, antioxidants, and fiber -- it tastes yummy too! 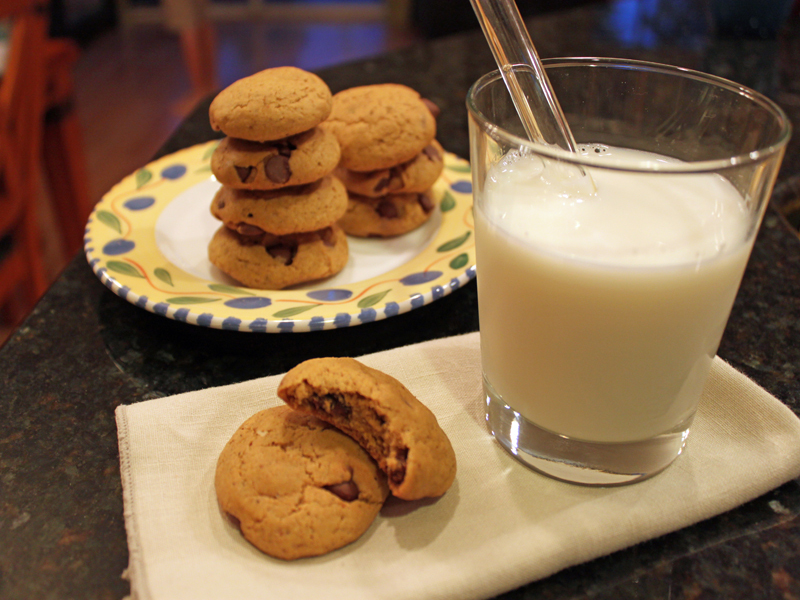 <br><br> This fall instead of simply carving a pumpkin, grab your kids and bake a batch or two of my gluten-free, vegan pumpkin carob chip cookies. They are divine! And since this brightly colored squash is so good for you, you won't feel bad indulging your kiddo's sweet tooth with a cookie or two. <h2>Step 1: Mix it Up!</h2> In a mixing bowl combine the coconut oil and sugar. 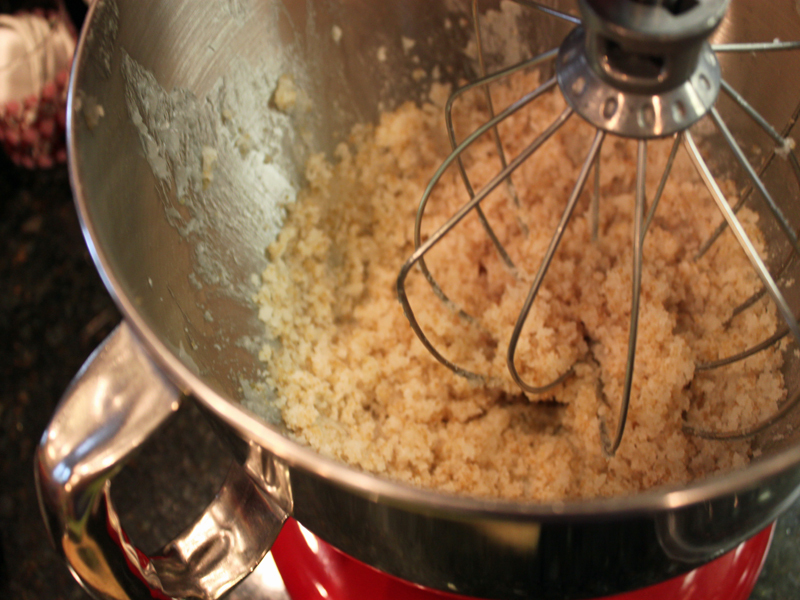 Then, mix for a couple of minutes. 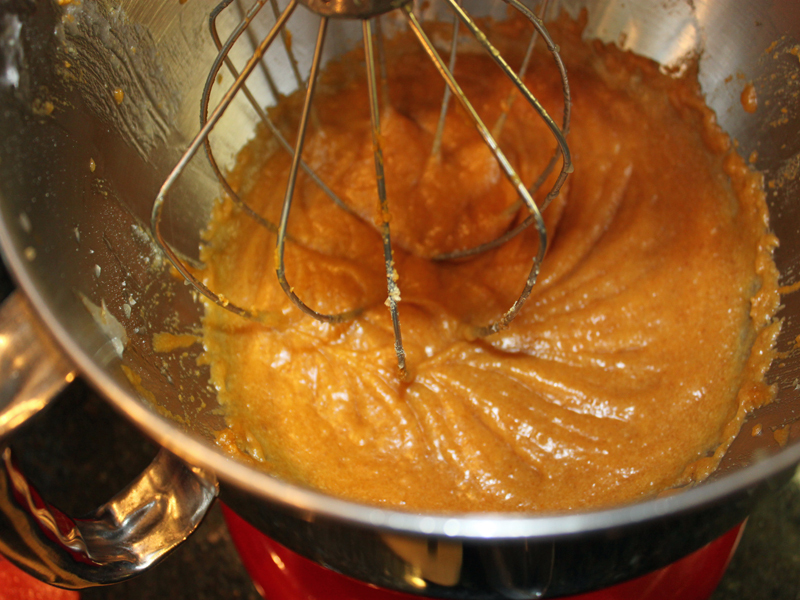 <h2>Step 2: Add the Goodies!</h2> Add the pumpkin, flax-seed, apple puree, and vanilla and mix until smooth. 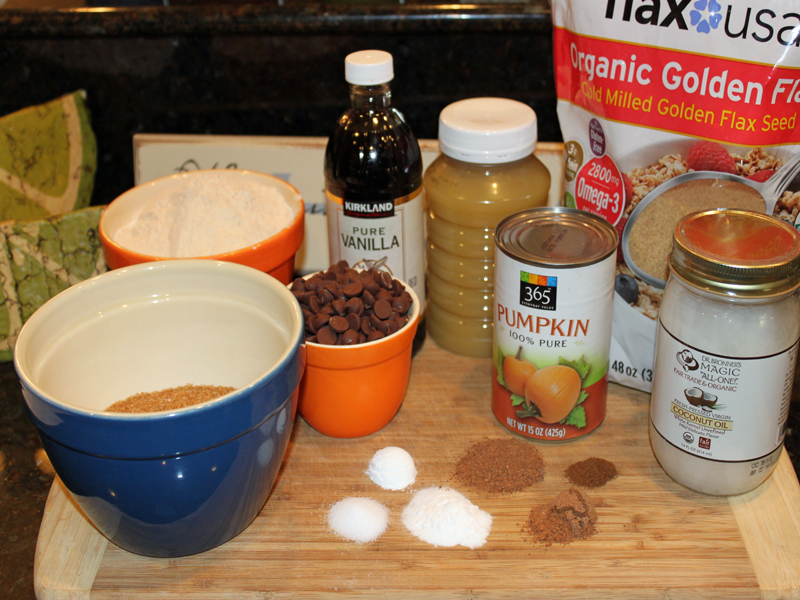 <h2>Step 3: Add the Dry Ingredients!</h2> In a separate mixing bowl combine the flour, baking soda, baking powder, cinnamon, nutmeg, and salt, mix throughly, then slowly add in the wet mixture and mix until smooth. Then, add the carob chips! 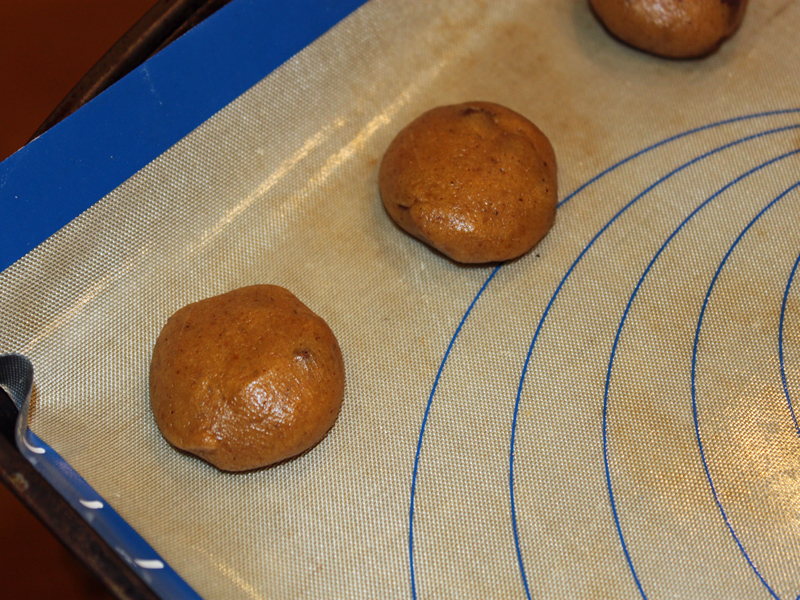 <h2>Step 4: Preheat + Prepare</h2> Preheat your oven to 350 degrees F. Then, line a cookie sheet with eco-friendly parchment paper or a reusable silicon mat. 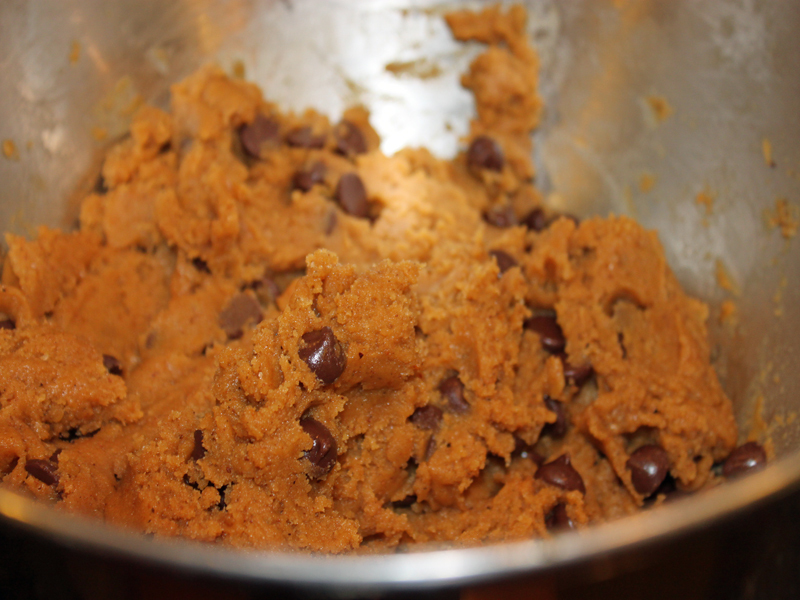 Add small flat balls of cookie dough onto your cookie sheets and bake 15 minutes or until golden. 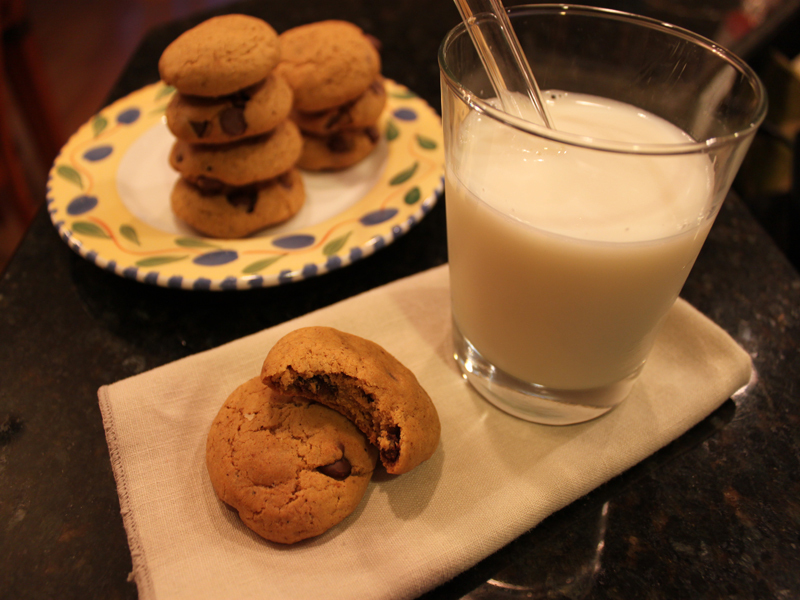 <h2>Step 5: Cool and Enjoy!</h2> Remove the cookies from the cookie sheet and allow them to cool. Enjoy!